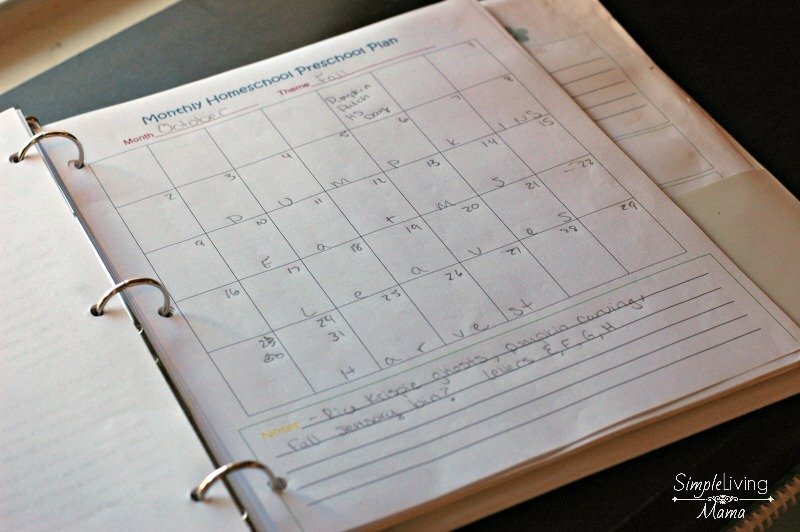 Are you in planning mode? 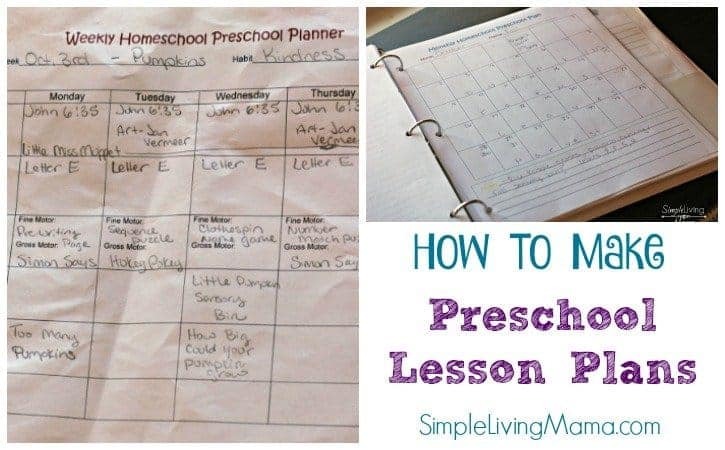 Whether you are doing homeschool preschool this year, or teaching preschoolers you may be interested in learning how to make preschool lesson plans. I keep the preschool years simple and fun. I don’t have big educational goals for my preschoolers. There is plenty of time for formal lessons in later years. I thought I would show you what I do to plan a fun year for my preschoolers! 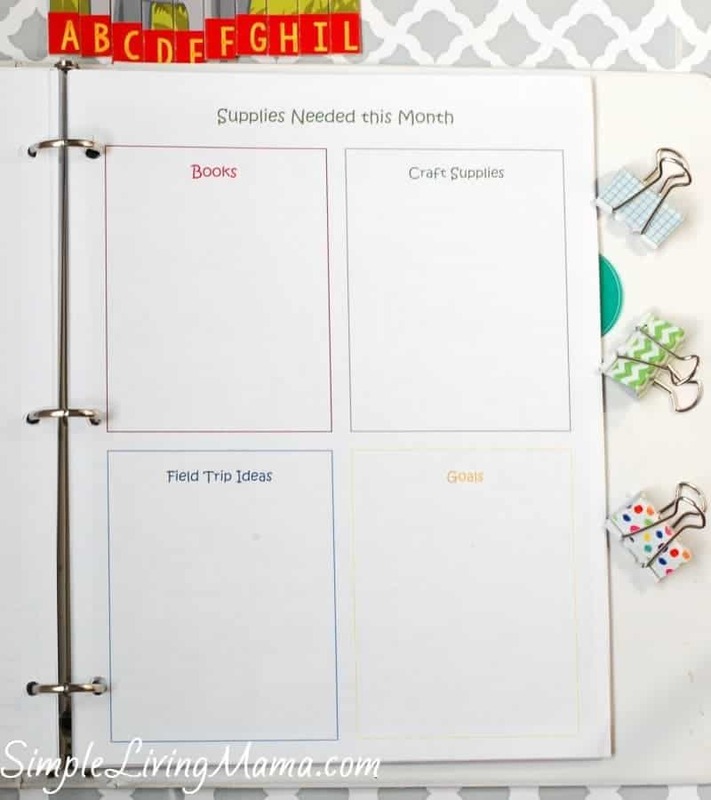 I use My Homeschool Preschool Planner to create a calendar for my school year. I print 10 of the monthly planning pages and begin planning our year. I use these pages to map out monthly themes, and to mark special dates. The notes section is awesome for writing out the activities I want to do that month, as well as planning which letters I am going to introduce. The next thing I do is begin planning my weeks. I do not typically plan an entire year at a time. I prefer to do weekly lesson plans. So, I will print off enough weekly pages for the month and begin planning our weeks! I write down our theme, the habit we are working on, our circle time plans, letter introduction, motor skills, arts and crafts, read-alouds, and outside play plans. This page is invaluable. I keep track of all of the supplies I need to gather that month, the books I want to check out from the library or purchase, field trip ideas, and of course, our goals for the month. I typically choose “big picture” themes for each month, and then break them down into weekly themes. For example, in October I chose a general fall theme, and then each week we worked on something related to fall. We had a pumpkin week, harvest week, farm week, and leaves week. All of the activities I do for each week are usually related to the theme in some way. I will plan our arts and crafts and sensory play based on that theme. We start each day with circle time. I use a morning board, as well as a morning basket during our circle time. 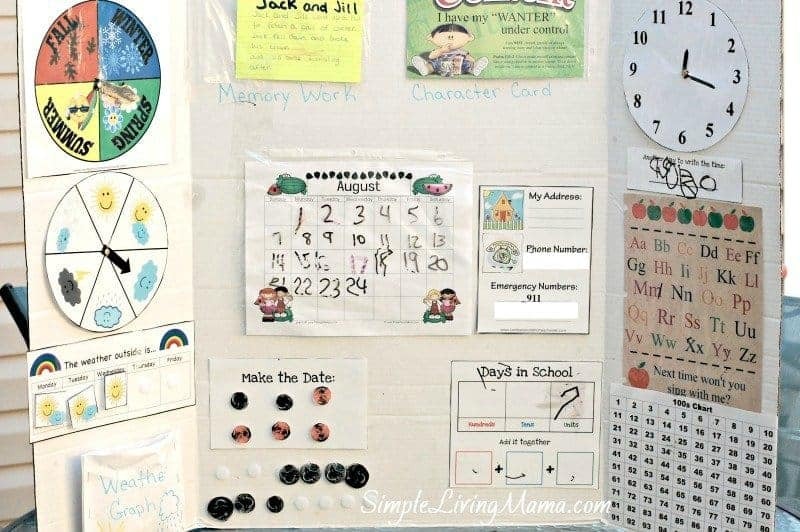 There are things for all of my children in these activities, as I do have older kids, but the main focus of the learning board are my preschoolers and kindergartner. I use Character Cards to reinforce our good habits and talk about positive character traits. We go over the seasons, the weather, the calendar, address, phone number, time, we sing the ABC song, and work on counting with our 100s chart. We also work on memorizing a poem. 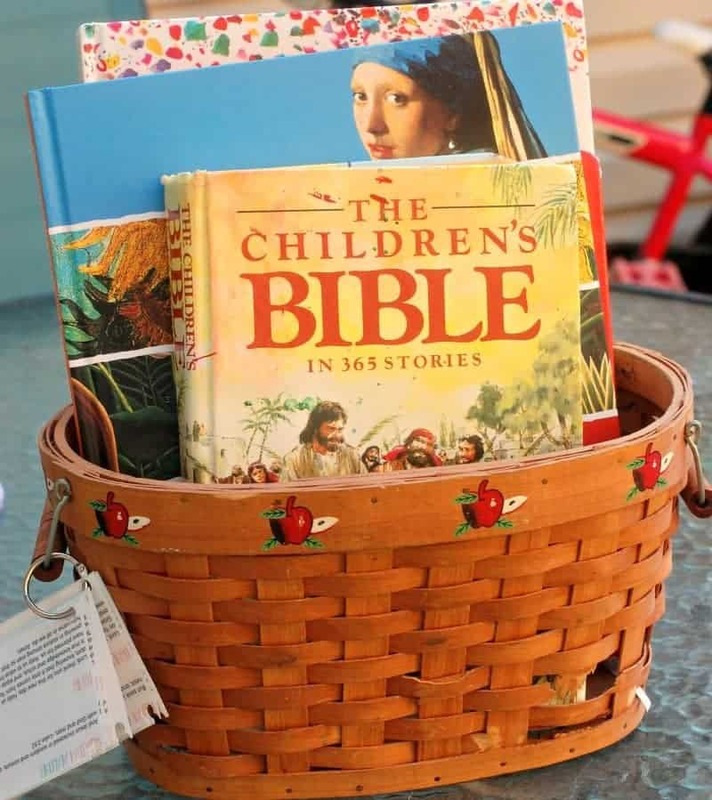 Our morning basket includes books that I read to the kids in the morning! I usually read a bible story and we rotate through learning about different artists and reading poems. During the preschool years, I work on teaching letters to my children. In my humble opinion, the preschool years are not for formal instruction. I never have the goal of teaching my preschooler to read. We have later years to do that. Each week we work on learning one letter. I introduce the letter and the sound and try to keep worksheets minimal. I am using My Alphabet Book as a fun notebook for my preschooler this year. He will do two sheets per week. These pages help with letter recognition and letters sounds because I sit with him and introduce the letter sounds. What about numbers and shapes? I explain in my free ecourse, How to Plan Your Own Preschool Curriculum, that I also introduce numbers and shapes. Each week I incorporate both fine and gross motor skills into our curriculum. I generally search Pinterest for ideas, but we sing songs and play games for the big gross motor skills. Fine motor skills activities include putting together puzzles, working on pre-writing pages, practicing scissors skills, working on writing our name, or even just playing with play dough. I make up busy bags at the beginning of the year for several of these activities, too. As mentioned earlier, I base all of our arts and crafts activities on our theme. Pinterest is awesome for finding ideas. I do occasionally add in some fun sensory bins or messy sensory play for my kids, too! I am working on creating preschool literature unit studies that include lots of crafts and ideas related to books. 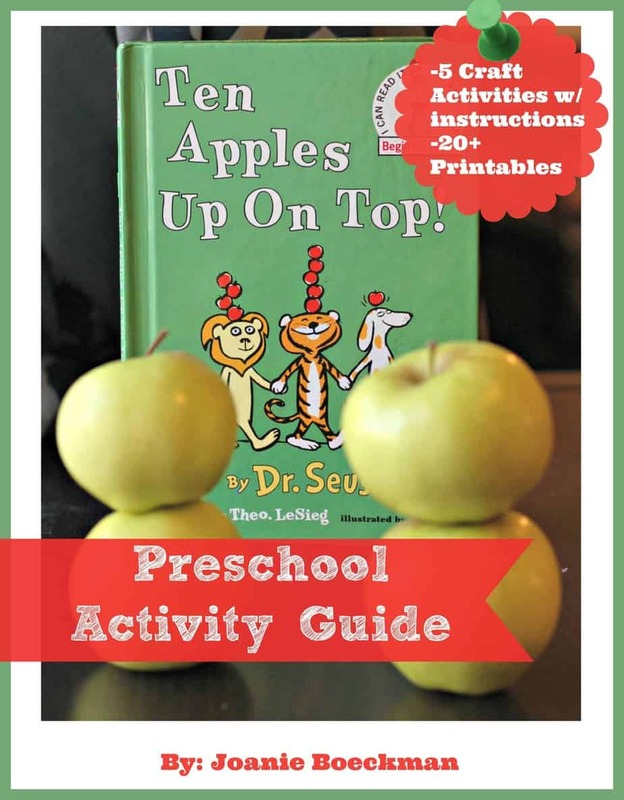 My first one is available, so if you are doing an apple theme, my Ten Apples Up on Top unit study includes five arts and crafts ideas, plus several sheets that will help with those motor skills as your child works on literacy and math! My Brown Bear, Brown Bear, What Do You See? 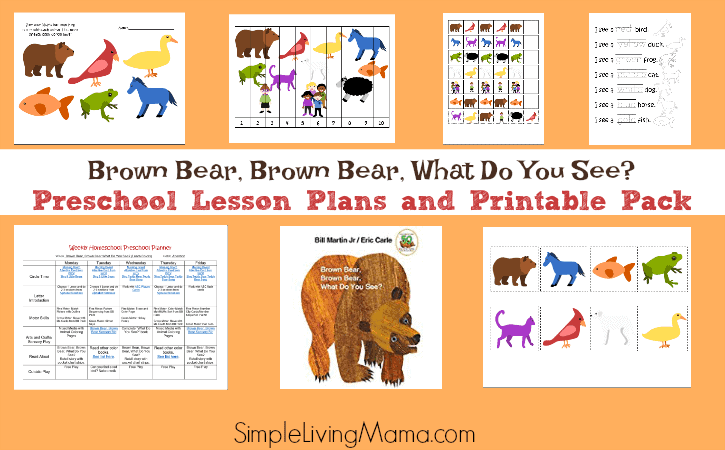 preschool lesson plan and printable pack is now available! 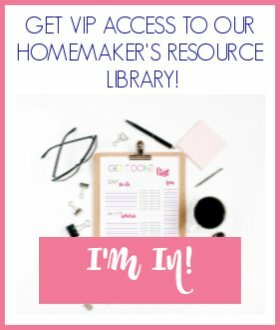 It walks you through a complete set-up of how I plan a weekly lesson plan! Read-Alouds are really the most important part of any preschooler’s day! Read to your child! I typically choose books based on our theme, but classics are awesome, too! 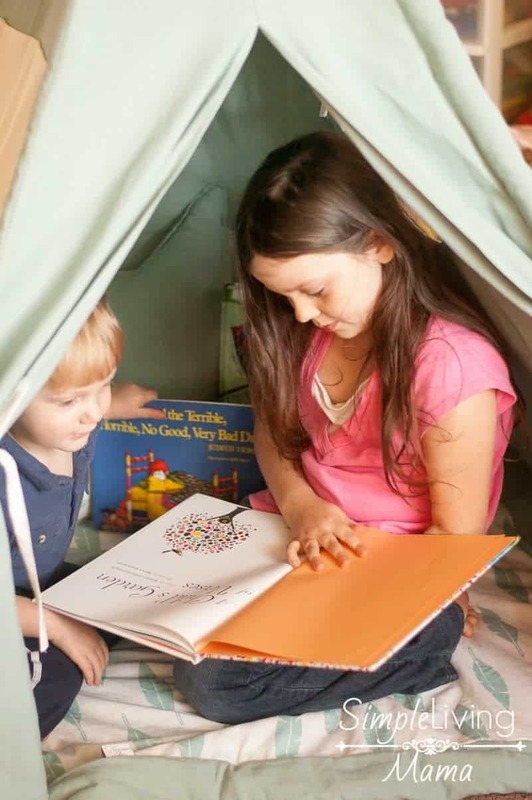 You want to instill a love of reading and learning into your child. I have a special reading corner set up in our home to encourage my kids to look at books. I get stacks of books from the library based on our themes and we bring them home and read and read! I also have several preschool book lists here on the website based on themes if you need some ideas! 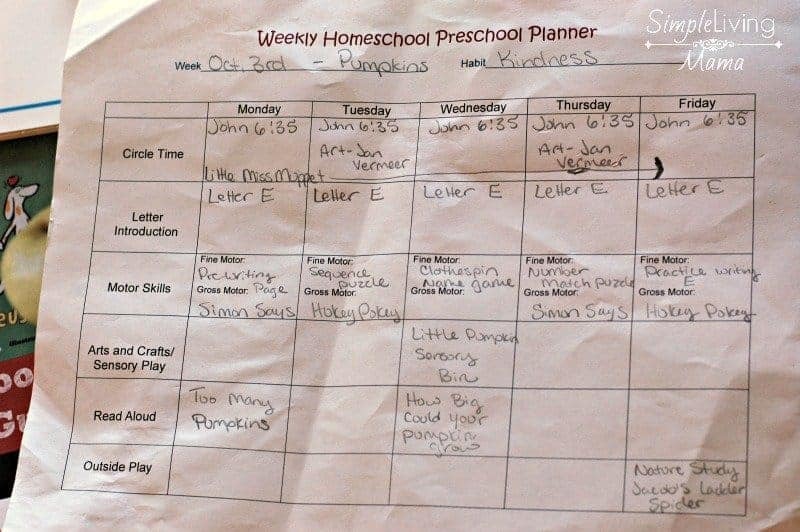 I use My Homeschool Preschool Planner to put together all of my preschool plans. 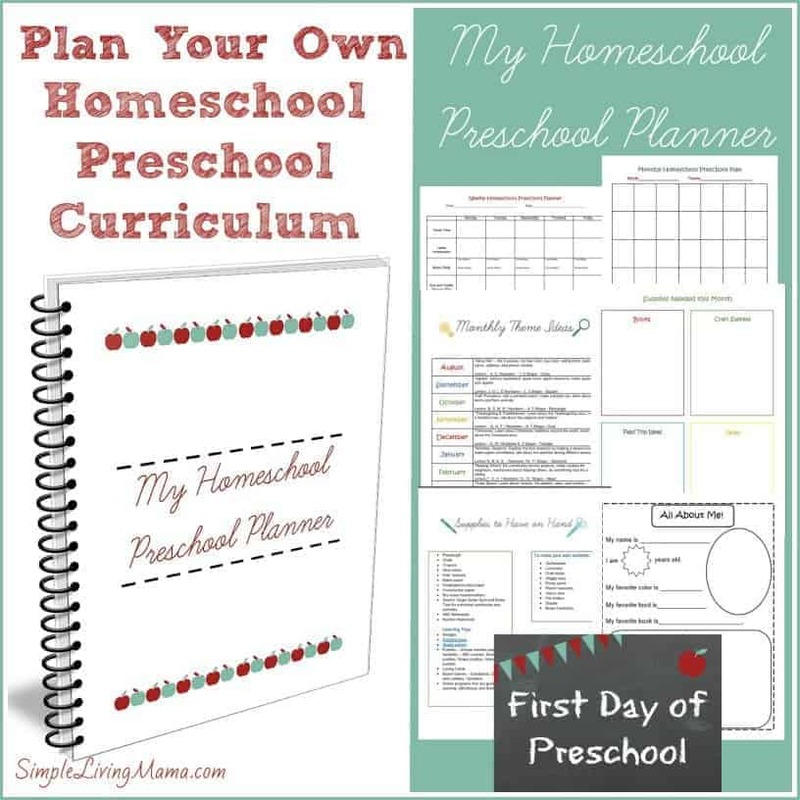 It comes with everything you need to plan your own preschool curriculum and get your year started off right! Wow, great ideas! 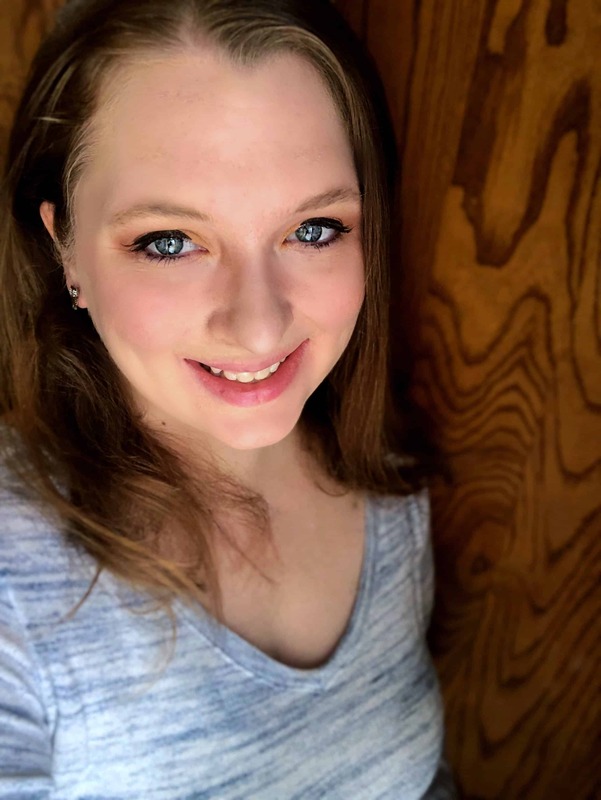 My sister is a hard working single mom with barely a minute to just breathe. So I take my role of fun and loving auntie very seriously. My nephew has ADHD with SPD which makes it hard for him to focus on much. As you would imagine, he’s extremely sensitive and active. One teacher referred to him as ” very busy”. So I try to make up for anything he misses at school or even during therapy sessions, here at home. I guess that makes me a “part time-almost homeschooler”. Thanks to you I think I’ve just found a great way to organize and plan our lessons and activities. Great job.